Officers from the Police Special Response Unit will continue to guard ballot boxes at the Fijian Elections Office warehouse in Laucala Beach, Suva while the remaining officers who were deployed for the 2018 Election duties will return to normal routine operations. Since the Writ of Election was issued on October 1st officers have been deployed for various duties leading up to the return of the Writ yesterday afternoon. Officers from the Police Special Response Unit were initially deployed to the FEO Warehouse for the first phase of special operations while up to 2000 officers were deployed for both the pre-polling and Election Day operations. 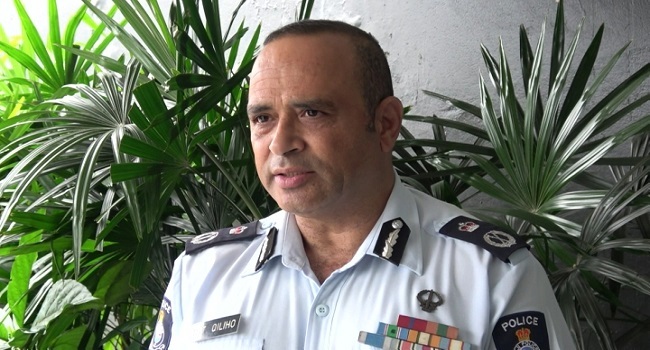 Police Commissioner Brigadier General Sitiveni Qiliho says it has been a tiring and testing time for the Force’s operational arm. He commended the work conducted by all officers. Qiliho says operations have been very busy and it has been extremely demanding these past few months however with proper planning and strategizing they were able to successfully conduct the overlapping national events. With the General Election over, the Commissioner says the focus now turns to the upcoming festive season. He says they’re still monitoring the security situation during the post-election period but their focus is also on the busy festive season and the school holidays. Brigadier General Qiliho says he is optimistic of receiving the same level of cooperation from the public in working with Police during the Festive season.